When you wake up after a night of heavy drinking feeling as awful as the plot of an Adam Sandler movie, you become acutely aware that too much booze can sometimes be a bad thing. You might try going on the wagon for a while but, frankly, that’s a bit extreme—after all, there’s not even a little alcohol on those damn things. Fortunately, there are other options for taking it easy that are easier to swallow. Like the following cocktails made with spirits that are significantly lower in ABV than the usual 40 percent. The most commonly enjoyed aperitif in Italy is now having its moment in the sun here in America. According to one leading spirits expert—me (that’s right, I said it)—this effervescent combination of bubbly and bittersweet is poised to become the most popular cocktail in the country this summer. Bear in mind, I did make a similar prediction about something called a Four Loko Fizz back in 2005 but, hey, nobody’s perfect (particularly not when hopped-up on booze-infused liquid crack). 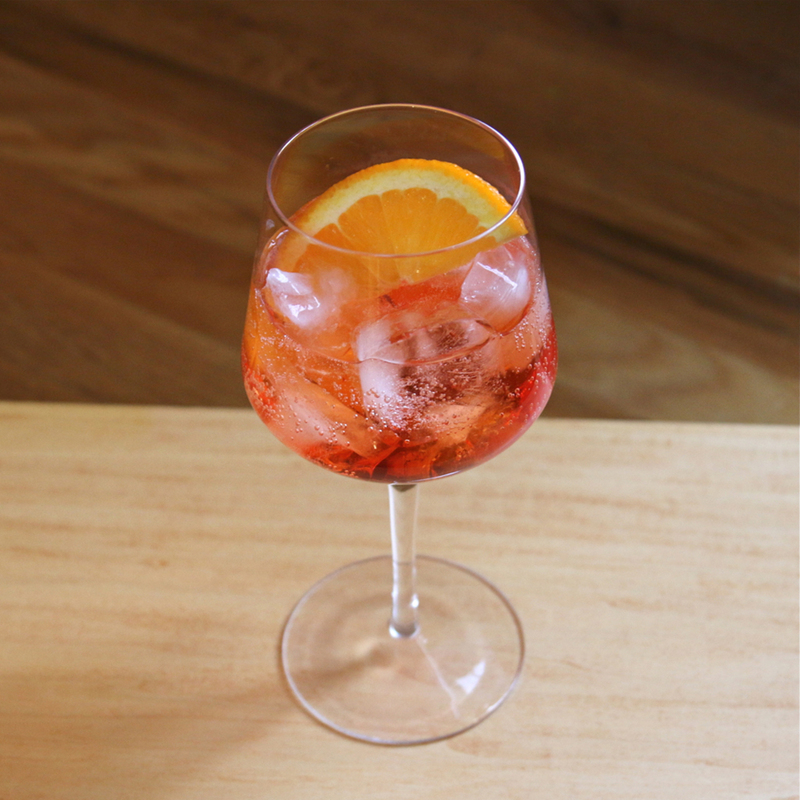 Add the orange slice, Prosecco, Aperol and soda to an ice-filled wineglass. Pouring the ingredients over the orange slice prevents the Aperol from settling at the bottom. Swap out your bourbon for the Italian amaretto and you get a whole different kind of sour. Shake ingredients together and strain over ice into a rocks glass. Garnish with a lime slice. It’s like an Aperol Spritz, only more French. In an ice-filled collins glass, add St-Germain, Champagne and club soda—in that order. Stir. Garnish with a lemon twist. Simple. Classic. Easy to remember. This is the cocktail equivalent of naming your child Joe. Add Campari to ice-filled highball glass. Top with soda. Garnish with lemon or lime. You may be thinking, Wait a minute, this isn’t a lower-proof cocktail, it’s a hellish shot of Italian liqueur containing 40 percent alcohol. And if you are thinking that, congratulations, you win this week’s “I Spotted A Misleading Headline” award. Now stop with all the thinking and slam back that Fernet. If you insist on additional components, have another shot and chase it with ginger ale. Combine contents of Fernet–filled shot glass with your mouth. Swallow. Drink ginger ale.